Patrick Mung Mung is the son of senior Gija leader and esteemed cross-cultural communicator George Mung Mung. 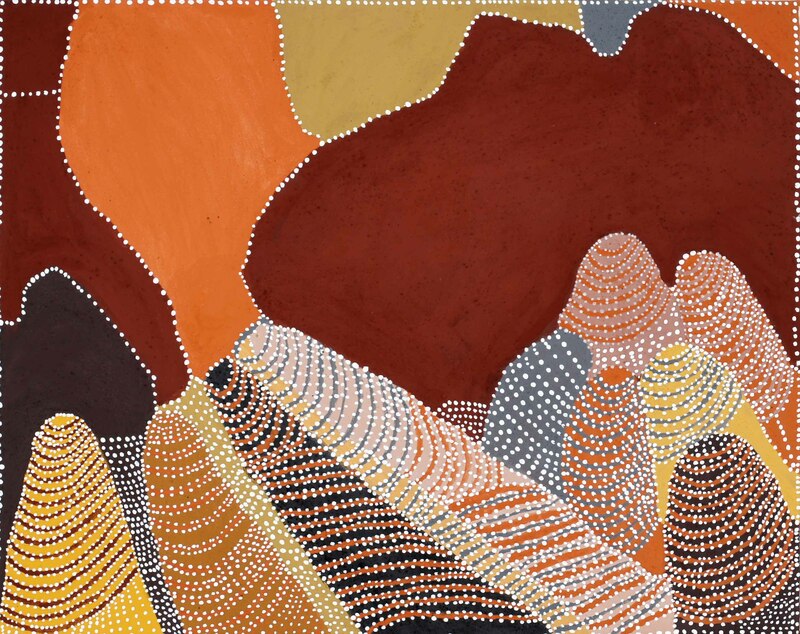 In 1991 following his father’s death, it fell to Patrick to accompany his father’s carving Mary of Warmun to Canberra for the exhibition Aboriginal Art and Spirituality at the High Court of Australia. This occasion marked the beginning of a journey for Mung Mung, which was to see him take on his father’s role of senior artist, law and culture man. Patrick started painting that same year, and was instrumental in establishing the artist-and-community-owned art centre at Warmun in 1998. Since that time, Patrick has led Gija performances of the Goorirr Goorirr around Australia as well as in Paris and Canada. 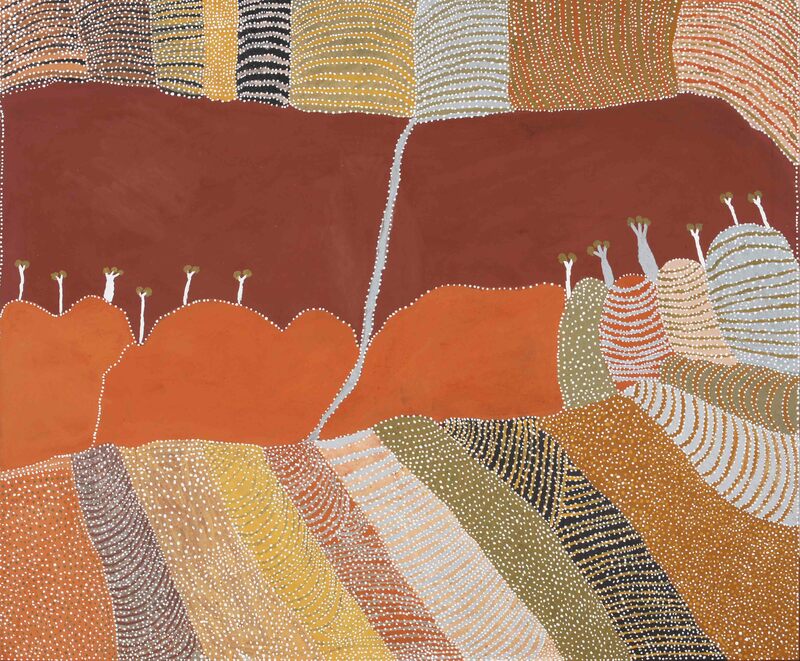 Patrick’s work is influenced by the generation of Warmun artists who preceded him, but his depiction of Purnululu, in pastel coloured ochres encompassed by rings of dotted bright white, is distinctly his own. In 2012 Patrick was awarded the Bank West Contemporary Art Prize, and you can see a video of his acceptance speech here.